Five books written by writers from the Pacific Northwest are finalists for the 19th annual Endeavour Award. The Award comes with an honorarium of $1,000. The winner will be announced November 17 at OryCon in Portland, Oregon. 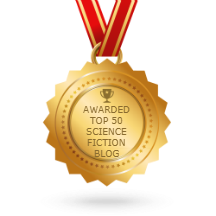 The Endeavour Award honors a distinguished science fiction or fantasy book, either a novel or a single-author collection, created by a writer living in the Pacific Northwest. All entries are read and scored by seven readers randomly selected from a panel of preliminary readers. The five highest scoring books then go to three final judges, who are all professional writers or editors from outside of the Pacific Northwest. The judges for the 2017 Award are. In the early 1970s, Ginjer Buchanan moved from Pittsburgh, PA. to New York City where she made her living as a social worker, while doing freelance editorial work. In 1984, she took a job as an editor at Ace Books. She was promoted several times over the years and in 2007, became Editor-in-Chief, Ace/Roc Books. In April of 2014, she retired. She is now enjoying sleeping late, reading a lot, watching an inordinate amount of television, and polishing the Hugo she won at Loncon, for Best Editor–Long Form. John R. Douglas was born in Toronto, Ontario, Canada. He moved to the United States and married fellow fan, Ginjer Buchanan in 1975. In 1978, he stumbled into a job in publishing and spent over twenty years working as an editor for four different major mass market publishers. Although he handled Science Fiction and Fantasy for all of them, he also edited mysteries, thrillers and other genre fiction and many kinds of non-fiction. He has been an editorial freelancer since late 1999 continuing to work with words in many different ways. Andy Duncan’s stories have been honored with a Nebula Award, a Theodore Sturgeon Memorial Award, and three World Fantasy Awards. His third collection, An Agent of Utopia: New and Selected Stories, is upcoming from Small Beer Press. A native of Batesburg, S.C., and an alumnus of Clarion West 1994, he teaches writing at Frostburg State University in Maryland. The deadline to enter books published during 2017 is February 15, 2018. Full information on entering the Award is available on the Endeavour Web site. Click on Entry Form in the left-hand column for a fill-in PDF of the form. The Endeavour Award is sponsored by Oregon Science Fiction Conventions, Inc. (OSFCI), a 501(c)(3) non-profit corporation.